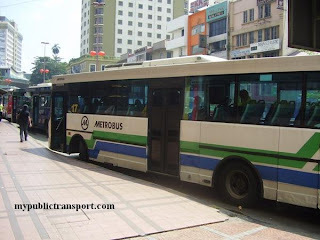 Metrobus company buses are famous with its white-green-blue lively which provides bus services between Kuala Lumpur city center and surrounding city. 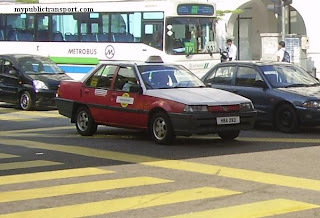 The company is based at Subang Jaya with its driving institute, Metro Driving Academy. Large fleet of Nissan diesel and Hino buses allow them to provide high frequency services. They are still using bus conductor services for collecting the bus fares. The advantage by doing this is to speed up the bus services system. However, most of the Metrobus drivers like to drive slowly around the city and cause traffic congestion. This is due to the company still pay their drivers and bus conductors by commision which counted from fares collected. 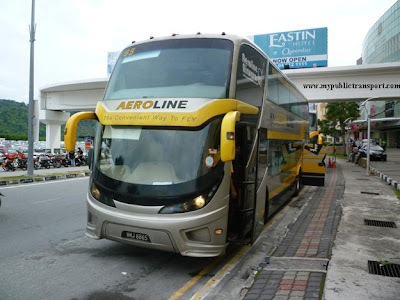 Overall, Metrobus are used by local Malaysia that need to travel between various city near Kuala Lumpur.The routes can be obtained here. pay by comission???! !oh...now i know y many driver drive slowly n keep waiting customer! !what the hell.last time when the conduktor saw me n quickly ask another bus move it n ask me go in to their bus! !everytime i go home with their bus .after that the rude conduktor keep talking to me n asking about my phone number,my name n where i live.make me feel uncomfatable to choose this bus service.should not asking this question sign i just a customer! !no need talking about this n i just wanna go to a destination! !n try to call me with a big sound when i have near a bus stop place.just like a 38 ppl.don know u n call like this ....just let i feel u all staff very rude like a gangster n kurang ajar!! choose rapid kl bus is better.keep wating ppl is waste time alrdy .make me feel mad n angry.comission is company pay for staff this customer no need to know.customer just want to know y most all the staff at metrobus very rude 1? ?not fight at bus then is asking too much private question! !want pretty girl just go to another place to call n talk but not talking inside the bus.not call at near the road .just like a ppl come out at hutan!! I think Rapid is better. But many destination I dont noe how to take rapid. last night at 7:25pm, took metro bus from Rawang to Bukit Beruntung. One passenger got up and asked lady conductor "Country Homes"? Conductor felt agitated & told him why he simply got up the wrong bus and asked him to "turun, turun" (get down, get down). As bus was moving, she asked all men passengers to move to the back. I moved to the centre of bus since the back already packed with all men. After awhile, I moved a bit to front since there is spaces between a few female passengers. Conductor expressed her dissatisfaction. Really "biadap" conductor. Why segregate the males & females passengers? Are we living in the East Coast of Malaysia? 1. Failed to open the back door when some passengers wants to get down until one passenger shouted at him to do so. 2. Started driving even before passengers completely got down the bus. As the bus was nearing to stop at the bus stop, I walked to the front door and lady conductor mumbling away why I have to be in a hurry. After I got down, I scolded her: "Biadap...Bodoh..."
Why does Metro Company has such shameful employees in their midst?? Please give me ur contact number and person who in charge the bus driver. Ticketman smokes and wasting customer time. Making us the consumers mad. I try to contact person in charge but so bad always meeting meeting meeting and meeting. I think no fficer to in charge at all. I'm I right???????? Please take a action at ur driver who drive the bus and stay in Bandar Bukit Puchong. 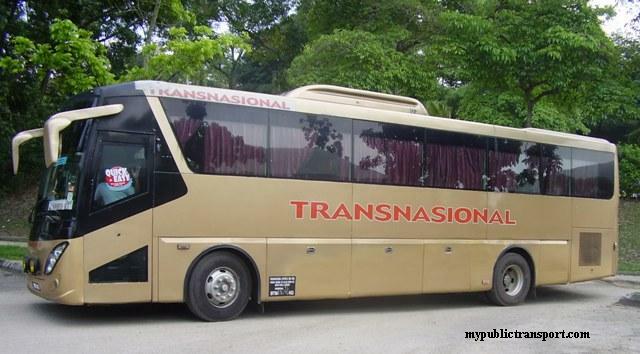 Coz, he park the bus at Taman Perumahan which that they are not allowed to do that. And early morning at 5:30am the bus driver start the bus and make very loud voice. Did't respect people at all.. Please take some action on this matter before we make a report to MPSJ. I'm Qaseem & I forgot my black foulding german umbrella on the way from Chowkit to Masjid India arounf a week before.plz help if someone or Metro condutor/driver found it. I make a report to MPSJ. But now I know which one much better. I want to make a report to SPAD!!!!! You can use Metrobus 99 to MidValley, then go opposite for RapidKL U60 to Puchong Utama, last use T513 to Bandar Bukit Puchong. can anybody tell me which bus should i take from sunway pyramid to eastin hotel nearby pusat perdagangan phileo damansara? there is a bus station that exactly located in front of that hotel. From Sunway Pyramid you can use RapidKL U623 to Kelana Jaya LRT station, then use LRT to Asia Jaya. From Asia Jaya station, use RapidKL T629 to Phileo Damansara. thanks. are there any possibilities to get shortcut by using metrobus? just now i check and i find a route like this, from sunway pyramid i take u63 and stop at hilton, then walk a bit to asia jaya lrt station and take T629. which one cost higher? is it far to walk from hilton to asia jaya lrt station? It is not far to walk from Hilton to Asia Jaya LRT. You can use this way if you don't mind to walk. It is cheaper because you save the LRT fares. Most of the metro drivers are chain smokers.Making desturbance for passengers. Not issuuing tickets for RM 1. In Bandar puteri sometimes buses are not going through Puteri 7. 30/10/2012 around 8.00am,da la laju pastu konductor die kalu indon yang naik free of charge..sy die cahrge 1.90 tuk ke HKL dan baki duit sy 10sen konductor kate xde duit kecik nk bg sy..mana bole cm tue..yg sy x puas ati bkn duit sy yg 10sen yg die bg sbnarnya,yg indon2 yg naik free tu,hey!! u ingat kite org msia nie xde telinga,mata ke? pls mcm mane nk buat aduan? ?pls2..benda cmnie jgn biarkan..n sy ada keep die nye no plat..
is there any possible buses from KTM Sungai Buloh to Kota Damansara?. Or probably any option can be made? No. You need to use KTM to KL Sentral, then change RapidKL U88 or Metrobus 99 to Kota Damansara. Can you tell me how to go to TBS from Bukit Bintang? You can use monorail or walk to Hang Tuah station, then use LRT to TBS. One of the bus driver who drives me to kota damansara this morning is simply inconsiderate and reckless. I haven't got into the bus and he's already ravving on the accelerator, impatiently trying to speed off! A passenger who pressed on the buzzer who wanted to get down in palm spring also missed the usual stop because the driver drove so fast, he missed the stop and stops only few hundred meter later at an improper location...wth?! Another passenger also got knocked on the bus door because the driver steps on the pedal even before the guy even got down the bus. Please look into this as your bus driver could be putting ppl's life at risk as he was driving fast, taking over other vehicles, stopping at unusual bus stops and couldn't be bothered to wait for passengers to get off the bus before speeding off! It is not hard. Just use RapidKL U67 or Metrobus 13 to UM Hospital (Federal Highway), then climb up the staircase to Jalan Universiti and use RapidKL U85, T635 or Metrobus 12 to Jaya One. If you don't want to walk so much, you can get down at Mid Valley and use Metrobus 12 from North Court. Ada x bus dr. Greenwood nk ke Menara Hup Seng berdekatan dgn Bangunan AmBank Leadership Centre? You can use RapidKL U2 from Greenwood to Chow Kit Monorail station, then use Monorail to Raja Chulan station and then walk to Menara Hup Seng. Does anyone noe where to get all the buses route, fees which r correct? how often the bus is there at summit to get to usj 14?? i usually will finish my class at 6, so is it possible to get a bus at tat time?? thank u..
Hi you can use RapidKL U63 or Metrobus 10. Those buses come every 15-20 minutes. I take Metrobus near Central Kepong station on 19/5/13 @ 5.30pm. Cannot remember what is the bus no. I would like to highlight that even though nearer to Jalan Kepong and the fare I paid is RM1.00 but the conductor did not provide us ticket. I hope the management will look into it cos the consumer got the rights to collect ticket from the conductor. Hello, I would like to ask, how can I go Digital Mall USJ from SS14 via public transport? Thanks a lot! You can use RapidKL U67 to Asia Jaya (Federal Highway), then walk to Digital Mall. Hi, may I know, what are the buses available to go to Ktm Klang from Hospital Tengku Ampuan Rahimah Klang and vice versa also? Thank you. You can use CItyliner 400 or 414 and stop before the bus cross the Klang bridge, then walk to Klang KTM Station. Today (15 November) morning around 8.30am, two metro bus 49 was reached at jalan genting klang from bulatan pahang (at the same time).I would like to highlight that the bus drivers are fight for the speed instead of take good care of passengers safety problem. I hope that management can look into this consequence and take proper action. One of the bus's registration number is BHN 5816.
if i want to go IJN from jalan genting klang (kfc)..which bus can take me there? You need to use RapidKL U20/U24 to Jalan Pahang, then walk to Jalan Tun Razak and use B114 to IJN. Or you can just walk from Jalan Pahang to IJN. 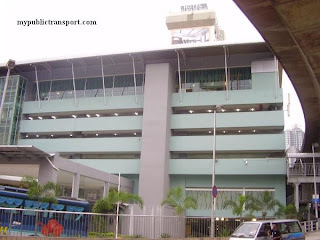 I saw a few Rapid buses n metro buses passby IOI boulevard. May I know what are the number of those bus? How to go One Tech Park, Tanjung Bandar Utama, Bandar Utama from jalan genting klang (kfc)? Hi, you can use RapidKL U20, U24, Metrobus 101 to Masjid Jamek, then walk to Pasar Seni and ride RapidKL U88 or Metrobus 99 to One Tech Park. if i go to melaka sentral bus terminal from usj14,which metro bus should i taken because my final destination is bahau. Hi, you can take RapidkL U67 to KL Sentral, then take KTM Intercity train to Bahau. 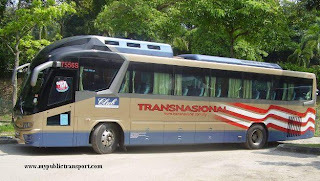 Besides that you can also take KTM from KL Sentral to TBS, then take Transnasional bus to Bahau. 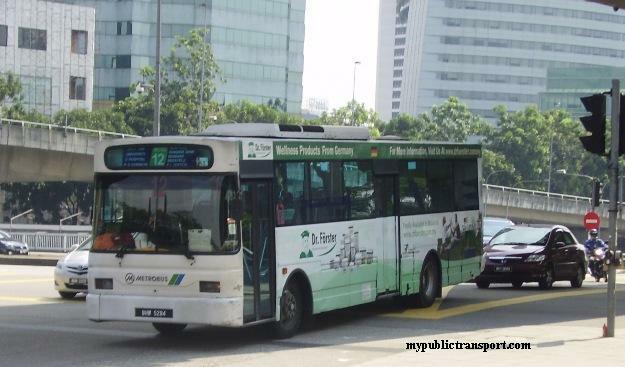 which metro bus can go sungai wang from kepong metro prima? Hi, you can take Metrobus 100, all Selangor bus, RapidKL U4, U8, U13 to Masjid Jamek, then take GOKL Purple bus to Bukit Bintang. bas tidak berhenti ke destinasi yang tidak sepatutnye.Bas No 20 - ke Putra Perdana.hanya berhenti di last stop batu 14.laporan akan di buat ke SPAD. Thanks for reporting to SPAD. How i want to go to the wisma ypr, taman seputeh? Hi, you can take any bus that stop near Mid Valley Federal Highway, then walk to Wisma YPR through small lane beside the bus stop. 1. KTM to KL Sentral, then take RapidkL U88 or Metrobus 99 to The Curve. 2. KTM to KL Sentral, then take LRT to KLCC station. Then walk from the station to Wisma Selangor Dredging. hi, may I know any bus from pudu to pinggiran putra houses around 5 pm to 6 pm? Hi, you can take RapidKL U432. Hi can i know the earliest bus at Oppostie Mid valley, Jalan Syed Putra to The Bikerz, Jalan Bukit Puchong 3/4 is which bus, and how long is the time taken for this destination. And how long the bus will come again to fetch the passenger at jalan syed putra? How much is the bus fare per way and they only accept cash can't use touch and go? 1. Take Metrobus 21 directly from Mid Valley to The Bikerz, the journey takes about 1 hour. The bus comes every 30 minutes. It should costs Rm2.50 and Metrobus only accept cash. 2. Take RapidKL U60 to Puchong Utama, then take T513 to The Bikerz. This cause you about Rm2.90 and about the same time, but you can use Touch n Go. is bus 99 still working? 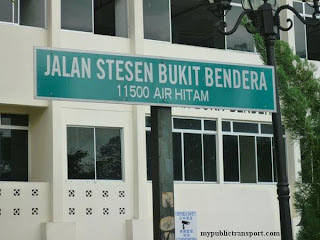 from ASIA JAYA to " JEJANTAS LRT KELANA JAYA STESEN bus stop? and return? Metrobus 99 never goes to Kelana Jaya Station. You can take LRT from Asia Jaya to Kelana Jaya. Hi, Boulevard 10 is slightly further from Damansara Utama, you can take U88, U82, T626 or 99 but you may need taxi to reach there because of not accessible highway. is there a bus from tesco bandar puteri to berjaya park,bukit rimau,shah alam?please help. Hi, there is no bus to Berjaya Park. You can take taxi. hi~may i know whether bus no 9 stops at lrt universiti? Metrobus 9 currently stop servicing. You can take RapidkL U81 instead, it comes every 20-30 minutes. Hi, is Metrol bas have a direct bas to IOI CITY MALL Putrajaya, my location is Juta mines Condo persiaran seri timah,tmn seri timah seri kembangan . Hi, no, you need to take taxi. Hai, is there any bus from jalan pantai dalam tu kl sentral? Hi, you can take KTM from Kepong to KL Sentral, then take RapidKL U82 and U83 to Jalan Semantan. 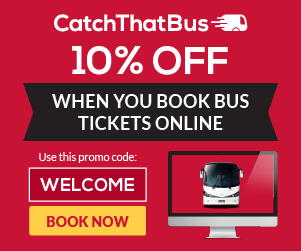 what is the time for the first bus and last bus from metrobus 99? Hi, it is from 6am to 11pm. Hi, which bus should i take from seremban to pudu central? and what is the earliest time? Hi, you can take SKS KL bus. The earliest bus is 6am. How do I get from Bandar Baru Sg Buloh to Citta Mall Ara Damansara? what's the earliest available? 2. Take RapidKL U86 from Kepong Central to 1Utama. 3. From 1Utama take RapidkL U43 or U89 to Kelana Jaya LRT Station. 4. Take RapidKL T607 from Kelana Jaya to Citta Mall. You should take a cab for this journey as this may take up to 3 hours. Hi, you can take RapidKL U88 or Metrobus 99 to PPUM. You can stop at Federal Highway. The fares is depends on the location you board the bus. Return journey is the same bus on opposite direction. Hi, you can take RapidKL U88 or Metrobus 99 from jalan ss21/1 to KL Sentral. Metrobus only accepts cash. 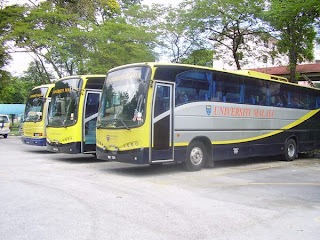 What bus to take from uitm shah alam to ara damansara. Help please. 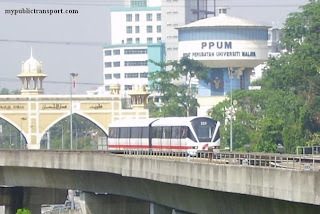 Hi, you can take RapidKL U80 from UITM to Universiti LRT Station, then take LRT to Kelana Jaya. From Kelana Jaya, take RapidkL T607 to Ara Damansara. Could I know which bus and lrt to take from cheras maluri to ioi boulevard ? And the return way . Thanks . Hi, you can take LRT from Maluri to Masjid Jamek, then switch to Kelana Jaya line to KL Sentral, from KL Sentral, you can take 600 601 602 603 604 (previously U60/U69/U70/20/21/58) to IOI Boulevard. How do I get from kl SENTRAL to PUTRAJAYA SENTRAL? what's the earliest available? Hi, you can take KLIA Transit, it starts from 4am. Hi, you can take RapidKL 450 to Jalan Pudu, then take RapidKL 580 or 590 to Chan Sow Lin Road and walk to Wisma Mahsing. The return is just the opposite. Hi, can I know the fastest route from Pantai Dalam KTM to Jaya One? I am confused after the bus revamp. Thanks very much. Hi, you can take RapidKL T791 to Kerinchi LRT station, then take LRT to Universiti. From Universiti, take RapidKL T790 to Jaya One. Hi, Subang Jaya station is a KTM Station. You can take KTM to Mid Valley station, then take Metrobus 601/602/603/604 to Bandar Puteri. Hi may i know is what is the number of rapidkl from bukit jalil or kl sentral to giant bandar puteri? What is the frequency? 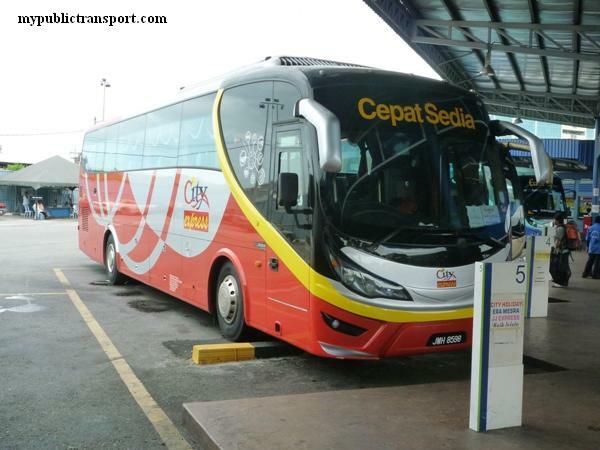 Hi, you can take Metrobus 602/603/604 from KL Sentral to Giant Bandar Puteri. They are about every 20-30 minutes. Hi, now you can only take RapidKL T790. There is no more Metrobus 12 after the latest bus revamp. T790 is the replacement. You need to take T790 to Universiti sation and take LRT to Pasar Seni. Can anyone tell me what number bus can go from ioi mall to bandar puteri because the number is change. Hi, you can take 601, 603, 604, just check with the driver because Metrobus sometimes will skip the route. May i know wat is the route of Cityliner 400? Where it will pass through and does it can reach klang ktm station? Is it often in one day? 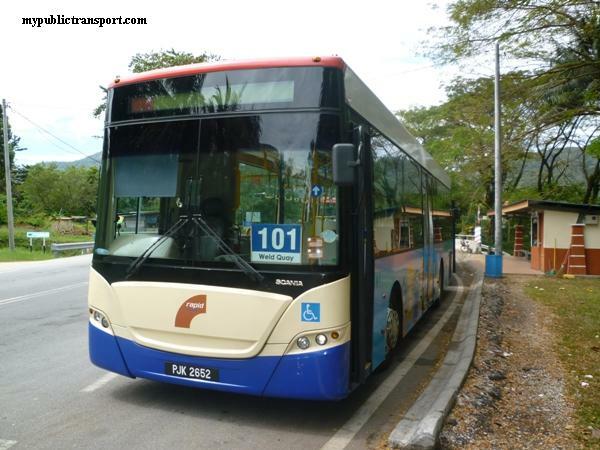 Hi, there is no more 400 after the bus revamp, it is replace by T702 and T703. You can only get it from Klang bus terminal but not the KTM station. It comes every like 1 hour. 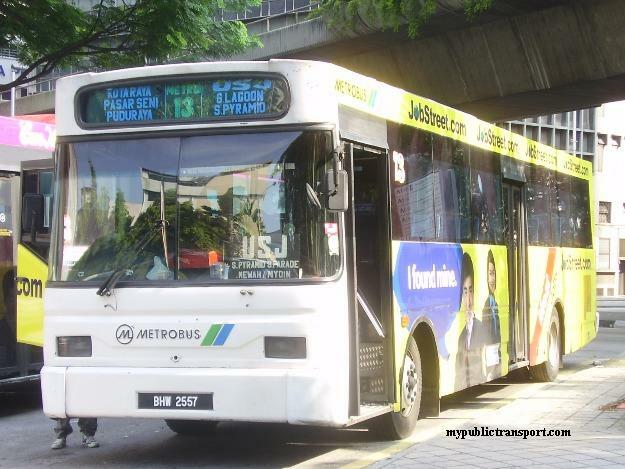 Hi, it is suppose to be Metrobus T571. Metrobus suddenly stop the service and it's a shame that SPAD did not take any action on that. 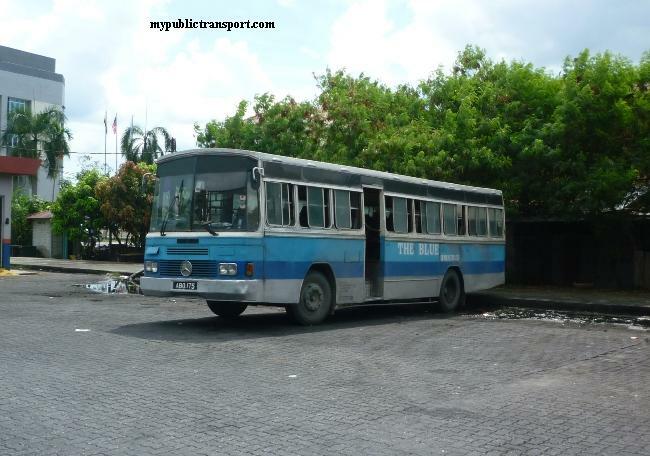 Cityliner T702 or T703? I juz a new resident in taman klang jaya(near Tesco Bukit Tinggi), i was wondering how to go ktm station(either one station in Klang) via what bus. Ok, to be easy for you, you can just take any bus at Jalan Langat to Little India Klang, then you can walk to the Klang KTM station. does metro bus go to kl sentral from puchong batu 14 in the early morning? Hi, yes you can take Metrobus 604. Hi, you need to take RapidKL 772 to Jalan Dinar U3/1 and walk a long way to Star Avenue Lifestyle Mall. I live in kota damansara.Sorry i want ask you,can you tell me what number bus to go hospital kuala lumpur. Hi, you can take RapidKL 780 to KL Sentral, then take Monorail to Chow Kit and you can then walk to Hospital Kuala Lumpur. Hi, you can take LRT to Sultan Ismail LRT station, then take Selangor Bus 103 from Jalan Raja Laut to PJU 10/1a. "Hi, you can take LRT to Sultan Ismail LRT station, then take Selangor Bus 103 from Jalan Raja Laut to PJU 10/1a." The bus stop in Jalan Raja Laut is in front of the Wisma Thakurdas or Kolej Universiti Metropolitan Kuala Lumpur right? Did you know the frequency of the bus? And what is the fare? You can get it at Kolej Universiti Metropolitan Kuala Lumpur . The bus typically comes every 30 minutes. The right fares should be Rm2.50. And may I know is via Jalan Kuching or where? Hi, you can take 103 to Jalan Tunku Abdul Rahman, then walk to Sultan Ismail LRT station and take LRT to Maluri. Hi, you can take RapidKL 770 or 771 to Kota Raya, then walk to Masjid Jamek and take RapidKL 190 to Jalan Segambut and walk to Persiaran Segambut Dalam. 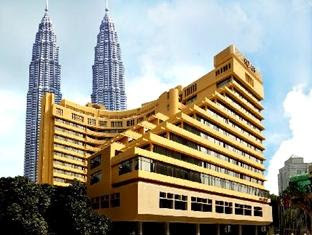 How about from sunway pyramid to cairnhill hotel jalan ipoh,kl? Hi, instead of 190, you can take 100, 103, 104, 107, 120,121, 150,151,152,153. How to go to pejabat pos laju puchong from sunway pyramid? Hi, you can take RapidkL 641 to Old Klang Road, then take 600 to Pusat Pos Laju Puchong. 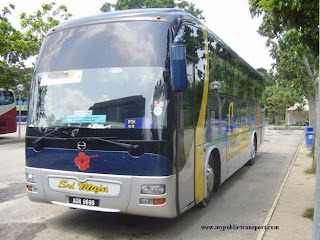 from politeknik sultan salahuddin abdul aziz shah, to ktm batu tiga, what bus.i should take? Hi, you can walk to Jalan Monfort and take RapidKL 754 to Shah Alam PKNS, then take 750 to Batu Tiga KTM (stop at Federal Highway). Hi, there is no more Metrobus. You can take RapidKL 590 for your trip. Can I know where is simpan bandar tun hussein onn lebuhrayq silk? Hi, I would like to know where can I wait for the bus from Kota Raya to Uptown Puchong Night Bazaar and Hee Lai Ton Restaurant Puchong? Besides, where should I wait for the bus from Uptown Puchong Night Bazaar and Hee Lai Ton Restaurant Puchong back to Kota Raya instead? What is the bus operating hours for this route and what is the frequency? Thank you. Thank you for your reply. May I know what is the frequency of Causeway Link 601 and how can I back from Uptown Puchong Night Bazaar to Pasar Seni (Where to pick up the bus)? Hi, it is every 30 minutes, it is also 601 from Uptown Puchong to Pasar Seni, you can board at Jalan Puchong. 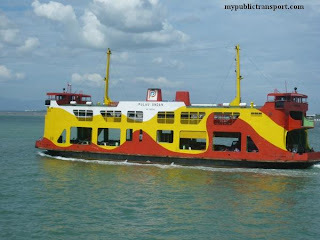 May I know what is the operating hours of Causeway Link 601? Does it passby Mydin @ Tasik Prima, Puchong? How if I want to go Mydin @ Tasik Prima, Puchong from Pasar Seni bus hub? You can take LRT to Masjid Jamek, then take Sri Petaling line to Puchong Prima, then take T603.